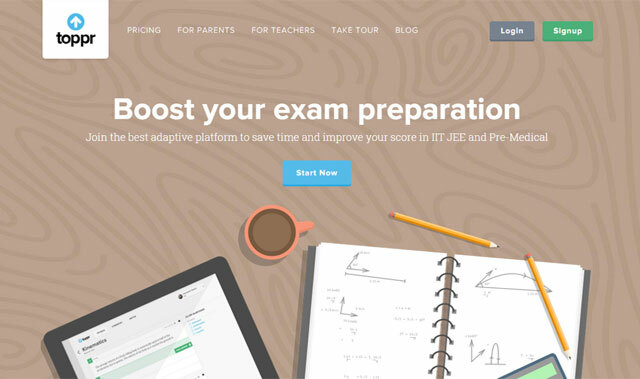 Mumbai-based Haygot Education Pvt e Ltd, which owns and operates online test prep venture Toppr.com, has raised $10 million (Rs 63.5 crore) in Series B round of funding led by Fidelity Growth Partners India, the company said. Existing investors, SAIF Partners and Helion Venture Partners also participated in the round. Kabir Narang, managing director of Fidelity Growth Partners India, will join the board of the company. "With this round of financing, we aim to expand the scope of our product, invest more in technology and build deeper content," said Zishaan Hayath, CEO and co-founder of the company. Toppr was founded in 2013 by Hayath (previously worked with Opera Solutions and ITC Ltd) and Hemanth Goteti (previously headed engineering at Futurebazaar.com and worked with Qlip Media, Synechron and Ubiquity Inc). Before setting up Toppr, Hayath—who himself is an active investor having backed firms such as Housing.com and Ola—had also co-founded a phone commerce startup Chaupaati Bazaar which was acquired by Future Group in September 2010 and also runs an angel investment group called Powai Lake Ventures. Toppr is a test preparation platform for engineering, medical and secondary schools students. The platform covers exams such as IIT JEE and BITSAT in engineering; NEET, AIIMS, AIPMT, AFMC, MT-CET and EAMCET in medical; and NTSE, NSO, NSTSE and KVPY, among others in the secondary school level. The fee starts at Rs 250 per month and can go up to Rs 6,900 for three years, depending on the course and duration selected. Toppr is also available on Android. Last month, the company acquired EasyPrep, an online entrance exam preparation platform, for an undisclosed amount. The startup claims it currently has 1,70,000 students on its platform and expects to reach 5 million students by 2017. "India has over 300 million students in school. Most of these students will eventually have access to a mobile phone or computer. This presents us a huge opportunity to change how we learn using technology," Hayath said. "Toppr provides a unique and compelling product with the potential to disrupt the exam preparation market. With its strong focus on enhancing a student's exam prep experience, the company is well positioned to emerge as the leader in this space," said Fidelity's Narang. In May 2014, the firm had raised $2 million (Rs 12 crore) in seed funding from SAIF Partners and Helion Venture Partners. It had previously also raised angel funding.